Shisidu village is located in the southeast of Wuxie Town, Zhuji, Zhejiang. It is composed of 4 natural villages: Zhuangban, Tangtou, Shixiang, Canglv, with a village area of 4.63 square kilometers. Shisidu village has more than 500 years of history, and there are many ancient buildings in the village area. The Ma'an Mountain ancient residence, Canglv Zhou ancestral hall among them are the provincial cultural relic protection units. 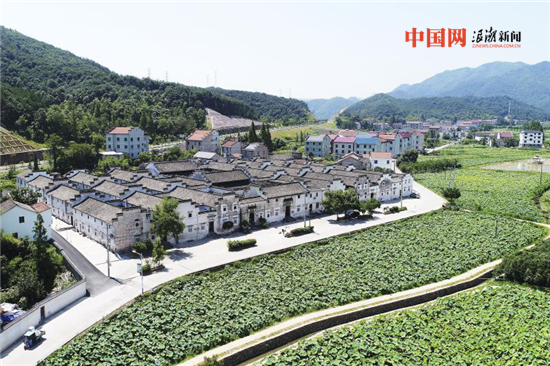 In 2016, the village was recorded by the fourth batch of Chinese traditional village names and key historical and cultural villages at the provincial level. 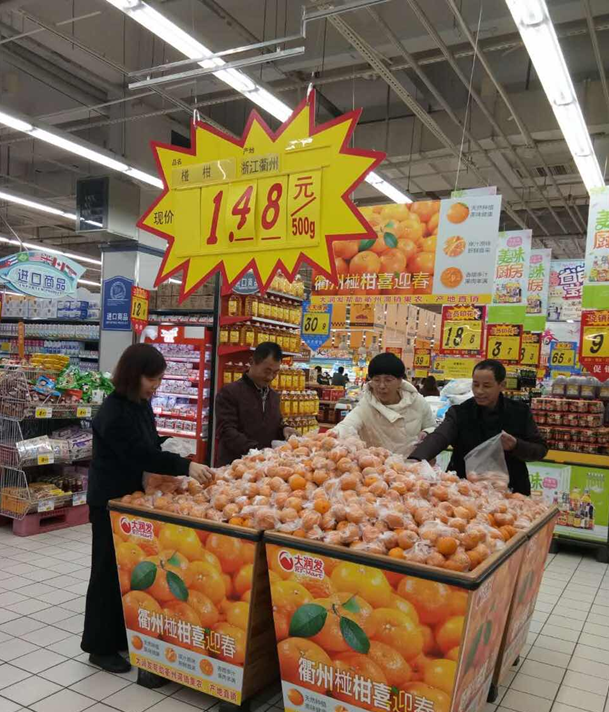 In 2017, it was listed as a Chinese traditional village list of central financial support. The Ma'an Mountain ancient residence, also known as Qian Ji Tang, is the largest single ancient architecture in Zhuji. While Zhou ancestral hall was built in sixteen years of Kangxi in Qing Dynasty, which has been 300 years of history. "Like another world, and it stayed quietly with the houses". 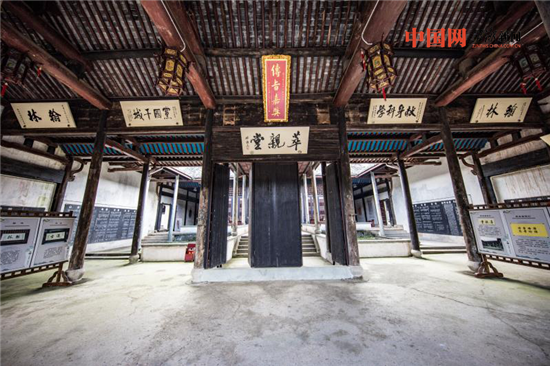 The majestic Zhou ancestral hall experiencing vicissitudes of life, is the continuation of the hundred years of cultural context; simple, unsophisticated and quiet Ma'an Mountain ancient residence take you back to hundreds of years ago. Shisidu village uses "farming family" as the traditional. According to historical records, in the Qing Dynasty and the Republic of China, Zhou Family in Canglv has 5 first-rank officials, 9 second-rank officials, 4 successful candidates in the highest imperial examinations, 3 members of the Imperial Academy, 23 successful candidates in the imperial examinations at the provincial level, more than 50 tribute students, 128 students of Imperial College. Among them, censors, ministry councilors of the Ministry of Revenue, officers of the cabinet, the magistrates, chiefs of a prefecture, magistrates of a prefecture were up to more than 70 people, of which 1 was the lieutenant general, 5 were major generals, and 1 was the Shanghai special city minister. At present, there are Zhou Liwei, the academician of Academy of Engineering, Zhou Songdi, the editorial advisory board member of “Ci Hai”. 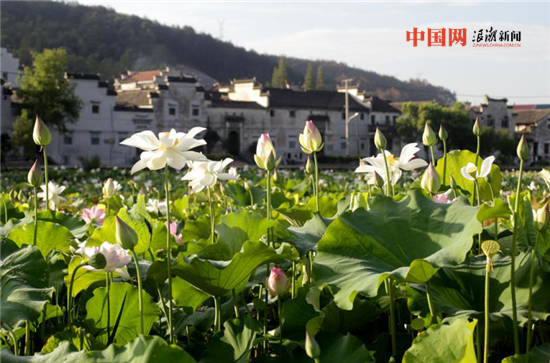 In summer, more than 300 Mu of lotus flowers in Shisi village are in full bloom, and they complement the ancient dwellings. This ancient village has custom of "loving lotus". The fragrance of lotus floats far, and lotus stand gracefully erect. Lotus stretch deep and shallow greenery, blooming layers of summer. With the coacervation of cool and aroma, the shadow of the lotus flowers shaky and shaky.